Over the years, I have used several different styles of easels in our classroom. The Guidecraft 4-in-1 Flipping Floor Easel is far superior to any other easel that I have used because it includes everything that I need for teaching and arts and crafts. The 4-in-1 Flipping Floor Easel ($120) is a great way to inspire children to express their creativity through painting, drawing and coloring. It is so convenient to use and children have what they need at their fingertips because it has five holders for paint brushes, paint, tools etc. When the children are ready to paint or draw, I simply roll the paper over the top of the easel and it stays in place with or without the included magnet. When they have finished creating their “masterpiece” they can cut or tear off the picture and start all over again. I use the 4-in-1 Flipping Floor Easel in our classroom activities every day. 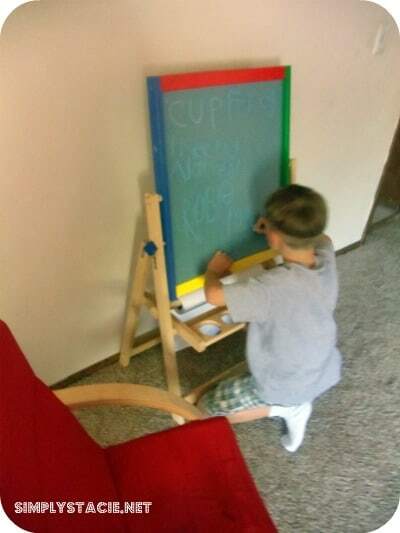 I utilize magnets on the whiteboard to teach the alphabet to my preschoolers and my first grader uses it for spelling and math lessons and to practice sentence writing. 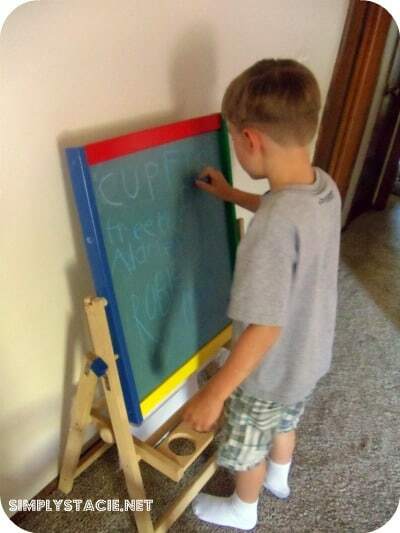 With a few simple moves, the easel flips over and can be used as a chalk board. Guidecraft consistently produces the highest quality wood furniture and educational resources for children. The 4-in-1 Flipping Floor Easel is well constructed and it is very sturdy. I love that it never wobbles or feels flimsy as I have experienced with other brand easels in the past. It is light enough to make it easy to move it around the classroom too. 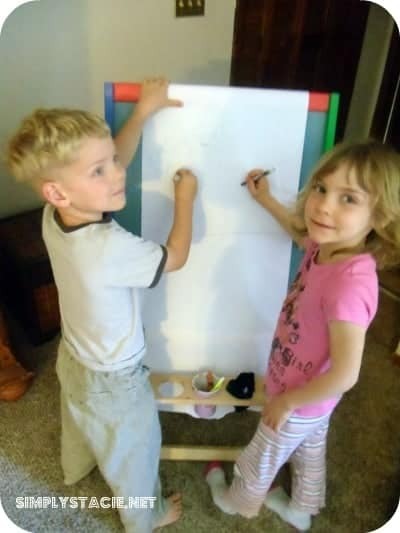 This 4-in-1 Flipping Floor Easel is a great part of the classroom and it gets lots of use in the off time too when my children ask to do arts and crafts for fun. This is one investment that is sure to withstand the test of time and gets lots of use from children of all ages. You are invited to visit Guidecraft to learn more about this product and to get purchasing information. Are you already dreaming about owning the 4-in-1 Flipping Floor Easel by Guidecraft? If so, don’t miss out on your chance to win one by entering the giveaway over at our Guidecraft team bloggers website, Katie’s (Little One’s) Learning Lounge!